A night 20 years in the making! 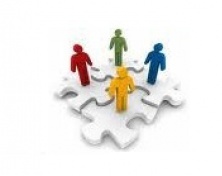 CheckUP Forum - Registration NOW OPEN! 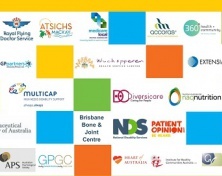 CheckUP launches latest Health In Focus report. Health in Focus - Report is now available! Our Annual Report 2013 - 2014 is now available! We are excited to announce that registration for this years' CheckUP Forum is now open! 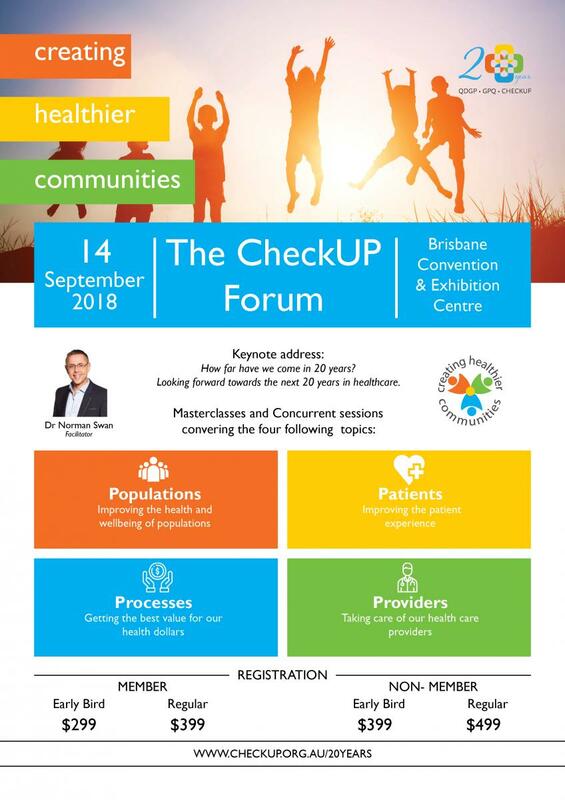 The 2018 CheckUP Forum, being held on Friday 14 September at the Brisbane Convention and Exhibition Centre, will focus on the Quadruple Aim in Healthcare - improving population health, enhancing the patient experience, reducing costs and improving the work life balance of health care providers. Head to our website by clicking on the image below to download our draft program, meet our sponsors (or become a sponsor yourself! ), submit an abstract or register today. Or click Register Here to go straight to the registration page. Join CheckUP and other like-minded health professionals as we discuss how far we've come and look forward towards the next 20 years in healthcare. Subscribe to our free monthly update. © 2016 CheckUP. All rights reserved. ABN 56 123 426 111. CheckUP acknowledges the Traditional Custodians past and present on whose land we walk, we work and we live.